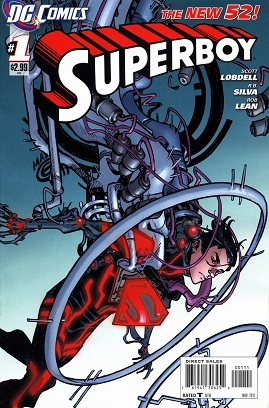 Convergence: Superboy and the Legion of Super-Heroes #1: "Part One: My Home in the Sky"
Superboy #22: Superboy Goes To High School. 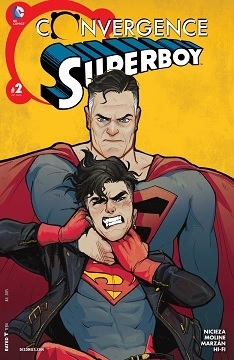 Superboy #12 : Kon-el Goes Clubbing For The First Time. One of the most frequently reused plots of the Silver Age Superfamily titles was "supporting cast character temporarily gains superpowers, causing problems for the hero." Jimmy Olsen and Lois Lane were the most common targets of this, but everyone got into the act, including some long-forgotten characters like the one we'll look at today. 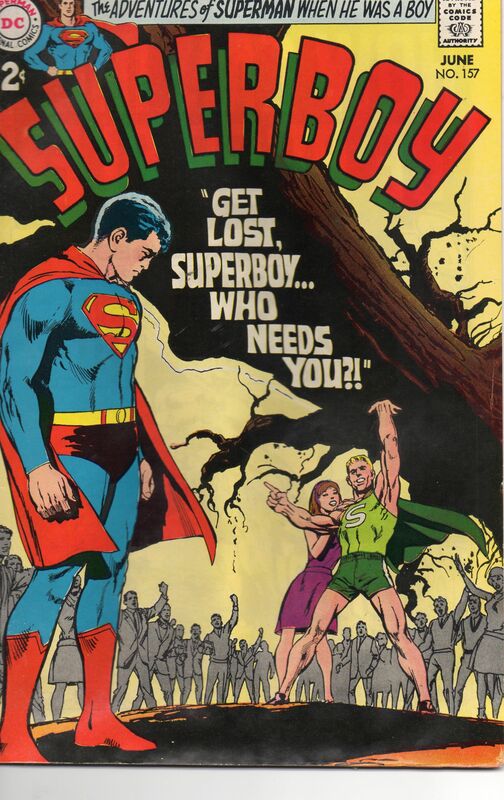 This post contains what adds up to 7 2/3rds pages of 23 from the lead story in Superboy #157, "Get Lost, Superboy...Who Needs You?!" plus a special treat. 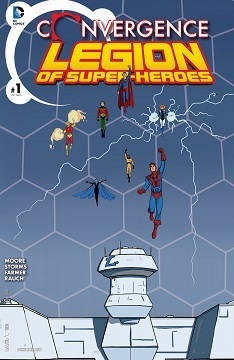 Current Music: "Yes, We Have No Bananas"
Give DC their due, they are seeking alternative sites to promote the "New 52".